As President of Reese Energy Consulting, Steve Reese leads his executive team from offices in Oklahoma City, Tulsa and Dallas. He offers more than 35 years of experience in upstream and midstream processes, energy marketing, and energy research projects, and is one of the industry’s leading authorities in crude oil, natural gas, NGLs, and LNG. His expertise spans every major U.S. producing basin and is sought out by the nation’s leading independent producers and midstream firms. Steve has managed literally thousands of natural gas transactions involving hundreds of million dekatherms in the Mid-Continent, Permian and Rockies basins and South Louisiana. 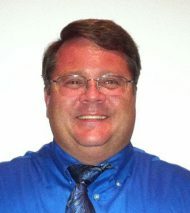 Steve also is President of Reese Energy Training, a nationally recognized energy education firm. His courses in Natural Gas Basics, Gas Midstream and NGL Basics, and Gas Processing Agreements have been shared with more than 10,000 industry professionals. Prior to launching Reese Energy Consulting and Reese Energy Training, Steve held positions with Getty and Texaco. 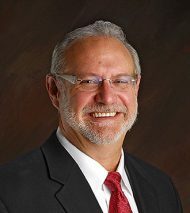 He is an in-demand speaker and lecturer with recent engagements for The Oklahoma Marginal Well Commission, The National Royalty Association, the Kansas Independent Oil and Gas Association, The Natural Gas Society of Oklahoma, the Desk and Derrick Club, The Oklahoma Law Review, and The Permian Basin Gas Society. Steve and his family make their home in Edmond, Okla.
Cliff is a production and pipeline engineer specializing in midstream engineering and design, pipeline operations and maintenance, gas measurement and sampling, gas midstream business development, asset evaluation, divestitures and acquisitions, and oil and gas production. 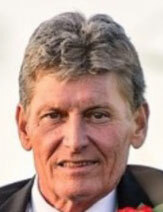 With more than 35 years of experience in the energy industry, Cliff is considered an engineer’s engineer for his wealth of expertise, efficient process design, and ability to meet the toughest challenges in the field. He previously held positions with Texaco, Cimarron Transportation, and Copano Energy. Cliff resides in both Sand Springs, Okla., and Gainesville, Texas. Sonja works closely with producers and end-users to connect their oil and gas supplies with the most strategic markets. She also performs contract negotiations, auditing, gas balancing, land and title work, due diligence, and manages the purchase and sale of midstream assets. Sonja began her career with Sohio (later BP) in San Francisco, Denver and Houston. She then moved from land to the midstream sector at Tex/Con, a BP subsidiary, where she was named President and CEO of Tex/Con’s marketing arm, Direct Gas Supply. 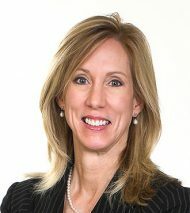 Sonja held high-level positions at Transok, ONEOK, Okley Petroleum and Aka Energy, performing commercial functions in supply, marketing, and the acquisition and divestitures of midstream assets. She and her family make their home in Tulsa, Okla.
Mike oversees natural gas sales and scheduling for REC’s producer and end-user clients in Tulsa, Dallas, and Midland, Texas. His breadth of experience includes more than 21 years at Skelly/Getty/Texaco where he purchased gas for all company-operated facilities, sold plant residue gas, and authored contracts and agreements. He also oversaw gas scheduling, gas balancing, gas accounting and taxes. Prior to joining Reese Energy Consulting, Mike was involved with the startup of two gas firms where he managed pipeline rights-of-way, gas control, market research, and gas pricing data. He and his family make their home in Tulsa, Okla.
Harry applies his diverse experience in the upstream, midstream and downstream sectors of the energy industry to help clients incorporate key commercial and operational issues into strategic plans and financial forecasts. He also performs due diligence, calculates the financial sensitivities of key business issues and strategic alternatives, and transforms raw data into actionable intelligence that can be used to improve operations and enhance profitability. Harry has executed more than $1.6 billion of transactions in the U.S. and the UK, primarily related to capital raising and M&A activities. 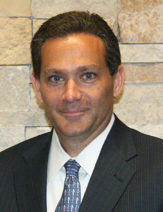 He formerly held finance-related executive positions at GMX Resources (renamed Thunderbird Resources); Enogex (now a part of Enable Midstream); and Aquila Energy. Harry and his family make their home in Edmond, Okla.
Donna brings more than 30 years of experience in crude oil and natural gas to her role at Reese Energy Consulting where she specializes in gas marketing, pipeline transportation, special projects and business development. Her career includes leadership positions with Unit Petroleum, Transok Pipeline and its affiliated marketing company, and E Price. 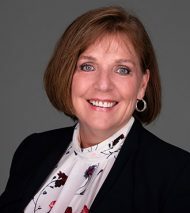 She is a former chairman of the Southern Association Transportation Committee; president of the Natural Gas Association of Oklahoma; and board member of the Natural Gas Transportation Association. Donna and her family make their home in Tulsa, Okla.
Christine develops and executes oil and gas marketing strategies that connect supplies to high-value markets while negotiating the best terms and conditions for producers and end-users. She began her career as a natural gas contract analyst for Sabine Pipe Line Company, then devoted the next few years learning the ins and outs of every segment of the natural gas industry. Aside from her expertise in energy marketing, Christine also offers an impressive background in energy commodities, holding previous positions at Natural Gas Clearinghouse, US Gypsum and Eagle Energy Partners/Lehman Brothers (now EDF trading). No one knows plant operations and processes like Orville. With more than 40 years of experience in the field, Orville demonstrates his well-honed expertise as a plant manager for our clients’ midstream assets, ensuring they are performing safely and efficiently while meeting capacity and takeaway expectations. 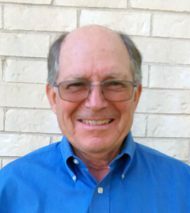 Orville’s career includes 34 years of service at Texaco in numerous supervisory roles and as the field superintendent for all operations for Cimarron Transportation and Scissortail Midstream. Janice analyzes the nuances and predictive data of midstream greenfield projects along with Reese Energy Consulting President Steve Reese. She offers a combination of oil and gas expertise, due diligence and graphic design skills to provide our clients with the comprehensive analytics they need to make the smartest decisions on their capital investments. 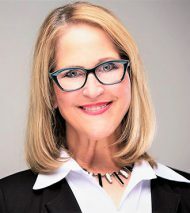 Janice began her career as a corporate graphic designer for Kerr-McGee before becoming a founding partner of Legal-Graphics, one of the first litigation graphics firms in Oklahoma. Her extensive knowledge of the energy industry coupled with her research prowess and presentation design talents have made her an in-demand resource for the likes of Pemex and numerous independent producers and midstream firms. 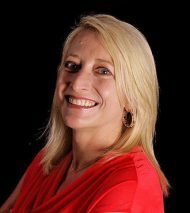 Vickie is a marketing strategist and communications and media specialist whose expertise has long focused on the upstream, midstream and downstream sectors of the oil and gas industry. She contributes the voice and brand of Reese Energy Consulting to numerous communications channels, both traditional and digital. 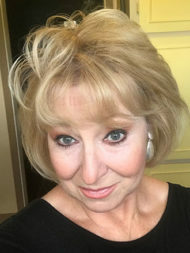 Vickie’s 35-plus years career includes 12 years as a senior communications specialist and media producer for The Williams Companies; 15 years as a creative director for an advertising and marketing firm; public relations associate for Kerr-McGee; and special projects writer for Mobil Oil. She and her husband make their home in Tulsa, Oklahoma.